Born of conferences at Konstanz and Princeton, this well-produced volume bears an ambitious title indeed. 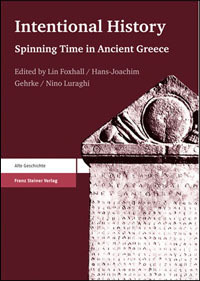 The succinct foreword by the editors highlights that the diversity of approaches and fields of study represented in its pages is programmatic and that they intended to strike a balance between reviewing the state of research and exploring new lines of thought in assessing the now rehabilitated Hellenistic polis as a specific historical phenomenon. While the articles are excellent and indeed deliver on this mission statement, it also makes the volume challenging to review. 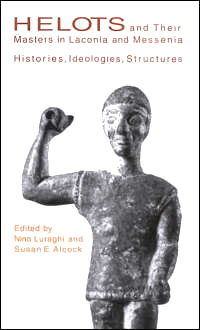 Despite this diversity, the volume's core interest is in the frames of reference that shaped especially the political culture of Hellenistic poleis. The long-standing debate about this culture, associated with P. Veyne and Ph. Gauthier, centres on four dimensions of polis society: the stability and wealth of its elites, as well as their degree of institutional and discursive control. Many of the articles assembled here engage with this debate and I will thus consider the volume mainly in its light. After highlighting that all ancient democracy is oligarchical, the opening contribution by Clifford Ando infuses a wealth of welcome theoretical thought into the Veyne-Gauthier debate, arguing in essence that the economy of honour visible in Hellenistic honorary decrees surrendered a moral authority to elites that veiled their reliance on social institutions. Henning Börm's study of the role of stasis in the Hellenistic period not only identifies three main causes of stasis - financial inequality, political abuse, and judicial bias -, but also points out that these conflicts were often driven by inner-elite competition. The final paper, Hans-Ulrich Wiemer's analysis of the ethical philosophy of Panaitios of Rhodes, not only persuasively argues that it was written with a Hellenistic polis elite in mind, but also shows that Panaitios' ideal citizen is not a citizen among citizens, but a member of the elite competing only with others like him. Two of the papers on mid-tier politics, Anna Magnetto's study of interstate arbitration and Peter Funke's overview of federal state organisation likewise engage with mechanisms of elite distinction. While they mainly offer updated surveys of their subjects, Magnetto also stresses that arbitration was an ideological expression of certain polis values, such as local history, justice and rule of law. Funke, on the other hand, emphasizes that while the institutional structure of koina always sought to maintain an equilibrium between member states and central institutions, they had the side effect of solidifying the elites of their member states, since membership in the koinon assembly was often held by a relatively stable political class at polis level. Since Magnetto's arbitrators were members of the elite, both papers thus reinforce the larger point that the mid-level structures of Hellenistic political culture also helped cement local elites. In all these papers, Hellenistic polis politics are thus presented as a matter of increasingly stable, educated, and wealthy elites, an argument put forward also by Christel Müller, who stresses the link between wealth and the power to maintain it. She posits that the dissolution of the boundaries between public and private that have been identified in later decrees reveals a loosening of institutional checks on the wealthy, allowed their concerns to become the politics of the polis as a whole, and halted turnover among the citizens in favour of the wealthiest. In sum, oligarchy in the Hellenistic period was hence not the opposite of democracy, but operated inside it beneath a thin veil. These articles are all stimulating and useful, though I do feel that behind their nuanced assessments of modes of elite stabilisation there lurks a traditional preoccupation with trying to refine the shape of the oligarchy under the veil of democracy. One might perhaps broaden the categories of inquiry yet further, for, as J.G. Merquior pointed out, a veil is fine as long as it does not become a threatening mask. Perhaps a needs-based assessment of Hellenistic governance in the vein of Amartya Sen might have been worth exploring as a counterpoint. This point is reinforced by Nino Luraghi's paper, which analyses the vacillations of discourse in early Hellenistic honorary decrees from Athens. He emphasizes that these decrees occlude macro-political constraints by presenting larger conflicts as internal strife, thus allowing political failures and loss of power to be concealed. The fact that the binarism of this discourse could even cause the negative label of "oligarchy" to be retroactively applied to periods of "democracy", with potential consequences for democratic values in the present, indicates that further nuancing these labels is not the only way forward. The three remaining contributions round out this sketch of the polis by concentrating on less political dimensions. Using statistical data for shipwrecks and mint emissions, Graham Oliver assesses the implications of recent comprehensive studies of polis economics for the Hellenistic period. He emphasizes that the poleis, here as abstract nodes in a network, exercised their agency to promote their standing in the political economy and that studying polis institutions in a New Institutional Economics framework is insufficient if one is to understand the economic history of this time. Frank Daubner continues his study of the integration of Northern Greece into the Panhellenic cultural network. Although he has to admit that there are good reasons why the poleis of Northern Greece are not usually treated as part of the networks of peer polity interaction, he argues that the Northern Greeks were part of Herodotus' hellenikon at least in terms of religious identity. Based on theorodokoi lists and a reconstruction of itineraries, he posits that the poleis of Northern Greece were integrated into networks of peer polity interaction at least in this respect. 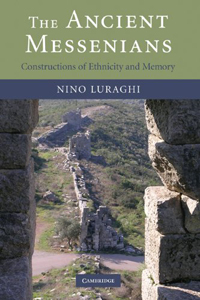 In a truly stimulating piece, Angelos Chaniotis provides another fascinating glimpse into his work on the ancient night, showing how it was increasingly tamed for use in Hellenistic cities, despite limited technological innovation. The increased frequency of nocturnal attacks and festivities, of organized, institutionalized dreaming, and the greater prominence of astrology in epigraphic discourse all indicate that the traditional opposition between day and night began to be gradually transformed in the Hellenistic period, a development that further intensified under the Roman Empire. Overall, the quality of the contributions is excellent. The papers by Ando, Daubner, Chaniotis, Luraghi and Wiemer struck me as particularly innovative and indeed provide ways forward in the study of the polis in this period. My main criticism of the volume is its lack of focus as a whole. 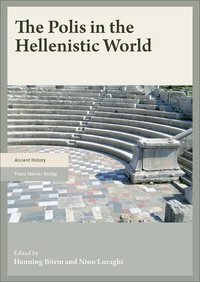 While the articles give a good grounding and a relatively comprehensive picture especially of the political dynamics and frames of Hellenistic poleis, the book does not quite fulfil the larger promise implicit in its title. It would have benefitted from a fuller introduction that attempted to offer an updated account of the Hellenistic polis based on all the contributions; the metaphor of network, which is used in almost all the articles; might indeed have provided a means of tying them all together.